Phillips may have another blockbuster on its hands. The auction house has announced that it has a Rolex Submariner owned and worn by Steve McQueen with his name engraved on the case back that will go up for sale on October 25. 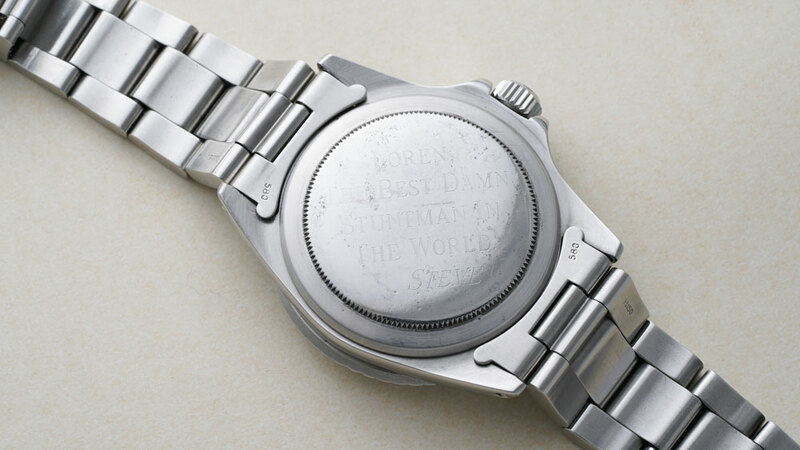 The watch was given by McQueen to his personal stuntman, Loren Janes, who passed away at the age of 85 last June. 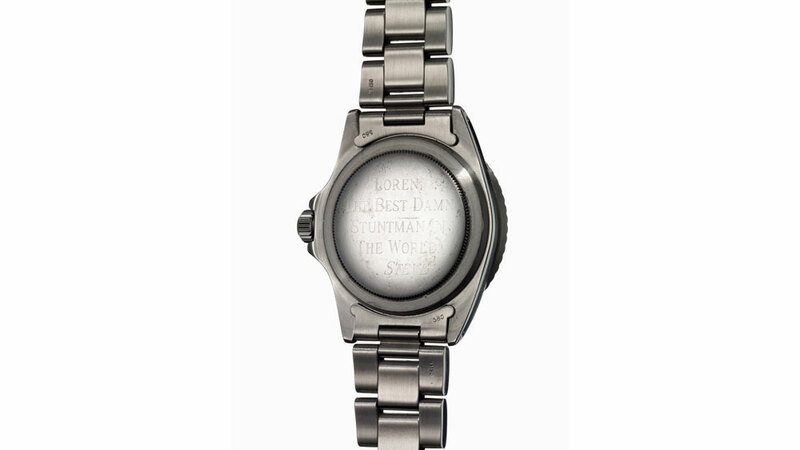 The watch is engraved in all caps: "TO LOREN, THE BEST DAMN STUNTMAN IN THE WORLD. STEVE". Interestingly, Janes was also a stuntman for Paul Newman, whose Rolex Daytona sold at Phillips for more than £12/$22 million last year and was the most expensive watch ever sold at auction. That timepiece had a starting estimate of £7,460/$1.3 million, while the McQueen Rolex has a starting estimate of £223,792/$393,334 to £447,587/$786,839. But given recent auction prices for Rolex, this timepiece is likely to go well into the millions. Elvis Presley's Omega, also auctioned by Phillips and inscribed with the king of rock 'n' roll's name, recently fetched the highest price in history for an Omega at £1.34/$2,36 million. The Rolex Submariner will be sold with a letter signed by Janes that attests to its provenance along with photos from Rolex documenting its restoration and the book Steve McQueen: A Life in Pictures, which shows McQueen wearing the watch. It also comes with an extra Rolex Submariner glossy/gilt dial and a corresponding hand set - correct for its year of manufacture - so that it would appear exactly as it did when the actor wore it in 1964. 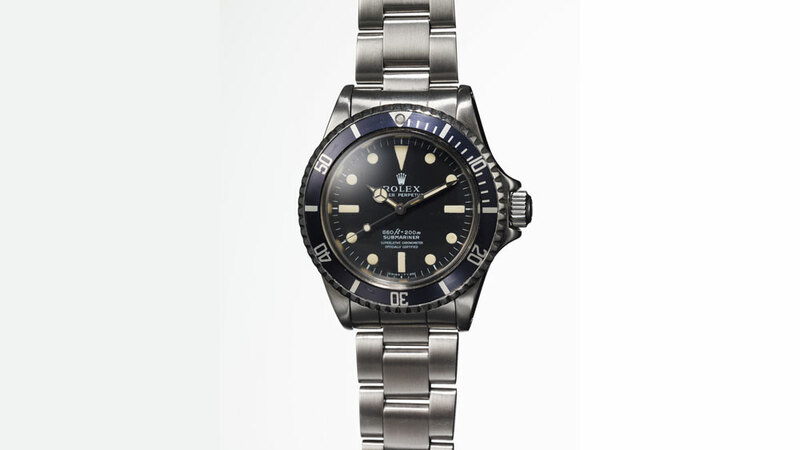 The reference 5513 Rolex is the earliest McQueen-owned Submariner known and was gifted to Janes in the mid-to-late '70s. The Steve McQueen Rolex Submariner was previously thought to be lost in the 2016 wildfire outside of Los Angeles that destroyed 40,000 acres of land, including the home of Loren Janes and his wife. Nearly all of Janes's personal belongings and film memorabilia were lost, but the family was urged to search for the Rolex due to its durability. It was found a few days later and was sent to be restored by Rolex; however, a small bit of soot residue is still present on the Rolex bracelet clasp and the case back. It’s fitting that a watch shared between two men with a taste for the extreme should survive and itself rise from the ashes of danger to perform a final stunt.